Neil Young and Crazy Horse took on the lofty responsibility of closing out the largest webcast in history, capping off a beautiful evening in New York City’s Central Park at the Global Citizen Festival. Fans were able to tune into the festival on YouTube and Palladia.TV, the web cast will air again tomorrow. Neil Young and Crazy Horse were joined on-stage for a “Rockin’ In The Free World” finale by Dan Auerbach, The Foo Fighters, Band of Horses and K’Naan, all of whom appeared earlier in the day at the Festival. Truly a magical moment that has to be one of the top live music moments of 2012. 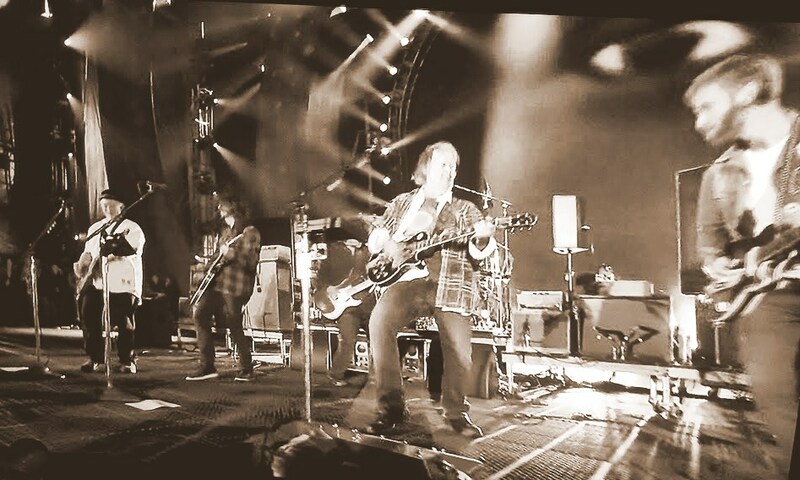 Dan Auerbach, Dave Grohl and Neil Young and Crazy Horse team up for Rockin In The Free World!